EGM IS FEATURE COMPLETE AND IS NOT BEING DEVELOPED. ONLY FUTURE UPDATES WILL BE MINOR BUG FIXES (IF THAT). IF YOU HAVE FEEDBACK ON THE WAR ASSET SYSTEM BETA PLEASE PM ME (ALL OTHER QUESTIONS WILL NOT BE ANSWERED). Thanks to all the players who gave us useful feedback and motivated the team with your comments, suggestions and praise. We really appreciated it. (A) GUI Errors:- Map not working (including a black screen when selecting the map, unable to use relay, cannot orbit planets); Manifest/Terminal (including cannot select buttons, cannot exit, wrong GUI is showing). (1) Using SP Controller Mod but incorrectly building the GUI patch or an error in that mod. Rebuild your patch using mod manager. If that doesn't work go to me3tweaks.com for support. (2) Editing the EGM coalesced.We cannot support you unfortunately. Reinstall the mod to fix. (B) Black textures - particularly when close up to characters on the Normandy. This is caused by installing EGM after ALOT. Always install all your mods first then texture mods. For help go to the A.LOT discord or nexus page. (C) Crashes in the armor locker. This caused by trying to cheat and unlock armors where you don't have the correct DLC or Mods. Not supported. (D) Conversations in the CIC (including Traynor and EDI) have no sound. As per the installer instructions - you need to download the full DLC Compatibility pack. (E) Mod doesn't appear. No changes on the Normandy. One of the most common problems is the mod "not appearing". In every single case historically this has been due to the user not pointing the mod installer to the correct directory (the Mass Effect 3 main directory). (F) Game freezes or fails during a savegame load or the first time you enter the Normandy (i.e. dream sequence). 99% of loading problems are caused by TOC errors. To fix use ME3Explorer's Auto TOC tool. Click Generate All TOCs and let it do its thing. (G) Startup or Authorisation errors - if your game says " DLC unauthorised" or doesn't load the main menu then either the TOC.bins need updating or the DLC Patcher has not installed properly. Update the TOC.bins using ME3Explorer. The DLC Patcher binkw32.dlls allow custom dlc. They are automatically installed by the EGM installer and used by all DLC mods.Either reinstall EGM or manually download and install the DLC patcher. Note the patcher requires Visual C++ 2012 runtime libraries. More help can be found on the me3explorer wiki. (H) Cabin is very slow and laggy (including dream sequences) The Prothean sphere takes a lot of processing power for older graphics cards. This happens whether or not you have the sphere unlocked. Use the lower power version of the that file. 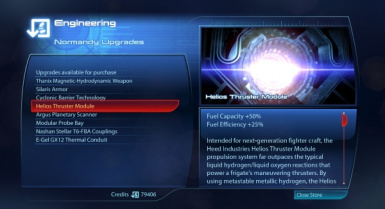 (I) Crash when exiting the armor locker (especially in the Cargo Deck) ME3 is designed for the Xbox360 and HR armor mods can add significant memory overheads. If you have crashes when using the armor locker, and are using multiple armor/clothing mods (e.g. Femsheps Closet and/or A.LOT textures) then remember to run an LAA patcher to increase the memory the MassEffect3.exe executable can address. (J) Crash on boarding the Normandy for the first time (during dream) You have used ME3Explorer to add textures, but not used v3.0 or later. Using an earlier version will shred the mod files and crash the game. Reinstall EGM to fix. If you do not clearly state the information requested below to indicate you have read and implemented these tests your question will be ignored, deleted or given a much lower priority. Exit ME3. 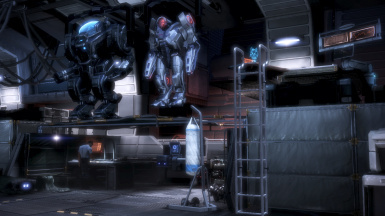 Go to your ME3\BIOGame\ DLC folder.EGMs DLC is called DLC_MOD_EGM. Temporarily disable the mod by changing the name to XDLC_MOD_EGM. Do this for any folder starting with that name. Reload ME3 and repeat exactly what you did before that caused the issue. If it happens again it is NOT EGM. Rename back (remove X) and restart to restore the mod. (B) Fully disclose DLC & Mods - including Bioware (Leviathan, Omega, Citadel) and other story mods. Also a lot, the SP Controller Mod, and other mods and any add on packs for EGM. (C) Disclose if you have modified the main coalesced or EGM's coalesced. modifying the coalesced can cause major problems if done incorrectly, especially in the GUIs (including the map) and the armor locker. - Go to the ME3\Binaries\win32 directory. There should be a file called ME3log.txt.Copy and paste (preferably under a spoiler tag) or PM the error log. Make sure the log is from just after the point you had the problem (don't reload the game). (E) Confirm you updated the TOC.bins. -To fix use ME3Explorer's Auto TOC tool. Click Generate All TOCs and let it do its thing. (F) Read the FAQs fully. - We will ignore any questions that are covered in the FAQs and Troubleshooter. .exe Installer version - How I install the mod? Just run the executable. It will automatically detect your DLC set-up and may ask you to download extra compatibility pack if necessary. 1. EGM via installer + compatibility pack if needed. 2. EGM squadmate pack (if you have the Citadel DLC). 4. EGM Add on packs. 6. EGM Settings - set mission timings, options etc. ME3 Mod Manager version - How do I install the mod? 4. Other EGM add on packs. 6. Run GUI Compatibility check in mod manager and build patch if using a controller. See comments section of SP Controller Support on nexus for info on how to do this. 7. EGM Settings - set mission timings, options etc. 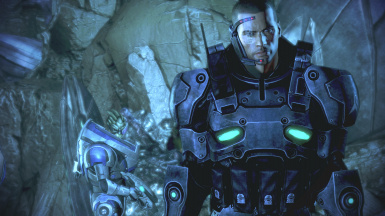 What version of ME3 does EGM require? EGM requires a legitimate copy of ME3, patched to version 1.05. The mod is compatible with EA Origin. The mod pushes the game engine to the limit, and many cracked versions have bugs in the exe. Don't be surprised if there are frequent crashes with cracked versions of the game.Bioware allows SP mods, only MP mods that impact your gameplay are potentially not allowed, and even then the company has not policed MP for many years. EGM does not load or change the game at all during a MP session. Do I need to start EGM with a new playthrough? No, but the mod is best experienced with a new playthrough or a save before the prologue ends. Loading a save from a playthough without EGM or it's previous versions will not break the game, just existing war assets will have the wrong values, and some assignments might be missed. Can I upgrade to the latest version of EGM from a previous one? Yes, the installer will automatically over-write with new files and delete old ones. Old add-ons and patches that are no longer compatible with the current version of EGM will be deleted.A save made with any version of the mod from 0.5 onwards can be used without any problems. Can I use Texture mods with EGM? Yes, there should be no issues including A.LOT, as long as you use the latest stable version of Texplorer (ME3Explorer 3.0). Earlier versions will break EGM. Install EGM and other story mods before A.LOT or other texture mods is the best practice, but if you don't it will only be on the Normandy where your improved textures are missing. For more information look at the me3explorer wiki. Can I use EGM with a game that already has texture mods installed? Absolutely. Any new textures are contained within the EGM DLC, so there will be no issues and no need to run texplorer to install.The only places where your new textures will not appear are parts of the Normandy. What is the difference between an ME2 Import and New Game Plus (ME3 Import)? The mod works with either. It is generally better to import a game from ME2 directly rather than a new game plus.The new game plus only carries over a few vital decisions from ME1/2 so many of the smaller assignments/war assets relating to ME1/2 missions will not appear if you start with a ME3 import. 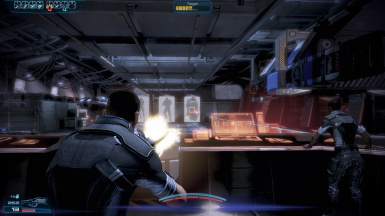 ME2 Imports - the player imports their ME2 weapons, the N7 helmet cabin item and powers as of ME2 levels. Weapons go to Level X. Most of the ME3 exclusive weapons found later in the game can be purchased from Alliance Requisitions or the Dealer if the player wants. Complete player history is imported from ME1/2. 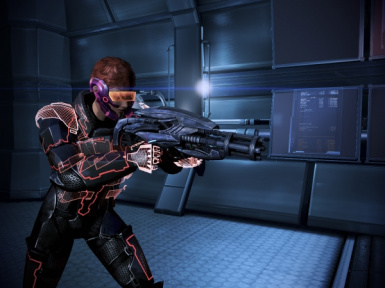 ME3 Imports - the player imports their ME3 weapons, armors and powers.Weapons go to level X. The N7 helmet will only import if you previously had an EGM end game save with it already. Prejek Paddlefish Intel bonus is available if you imported the fish. Only partial player history is imported from ME1/2, so many of the smaller ME1/2 related assignments and war assets will be missing. To uninstall we strongly advise that you fly the Normandy to the Citadel, land and save first, otherwise the map may have problems when you restart. Then delete any folder containing DLC_MOD_EGM or DLC_CON_MAPMOD from your DLC directory. Note war asset values will be retained in save. What optional add-ons are available for EGM and should I get them? EGM DLC Compatibility Pack-Needed only for users who DON'T have the Citadel DLC.The installer will automatically install a lite version of this to fix minor compatibility issues, and prompt you to upgrade if you need it. EGM Squadmate Pack-8 additional mission files unlocked for the additional squad members and new squadmate armors. Requires Citadel DLC. EGM Custom Extras Pack-Small files and add-ons to customise installation. To uninstall or change parts just use the installer. - Low Resolution Prothean Sphere - reduces processing power required in the cabin, use if lags occur there. - Normandy Music - a user request, this replaces the humm on the Normandy with the music from ME1. - EGM - Backoff compatibility - fixes any incompatibilities between Backoff and EGM. - EGM - Thanemod 2 compatibility - fixes any incompatibilities between Thanemod 2 and EGM. HR Vehicle texture pack-DLC of EGM vehicle files with HR 4K textures. Ark Mod-A new mission, existing N7 missions reskinned with hazards. Alliance Warpack-Adds 8 additional armors for Ashley, Kaidan, James and EDI. Alliance Armor Pack-Adds 4 further armors to Alliance Requisitions for Shepard. Requires either Citadel DLC and/or Alternative Armor Pack DLC. Urz on the Normandy - Created by Moho25 this allows Urz to join the Normandy. For EGM the mod adds a module that allows Urz to be swapped in and out via the manifest. ME3 Recalibrated - Created by a group of ME3 modders including some of the EGM team, this is not an add-on however we recommend players use it simply because it fixes a lot of bugs and content that are not addressed by EGM. Spectre Expansion Mod - Adds more systems, races and information from the extended lore, more assignments based around a greatly expanded Spectre terminal. Created by EGM contributor Sil/Tydeous. Can I use XYZ mod with EGM? EGM has native compatibility built into it for MEHEM v0.5, ME3Recalibrated and the Bonus Power Packs. Ending mods such as JAM, LIME, The Citadel Epilogue Mod and Extended Anderson Conversations all work correctly.Thanemod 2.0 and Backoff require small add-on packs. Mods that heavily edit the Normandy will have problems as will those that edit GAW Assets or the Normandy mail system. If you have a particular favourite mod that doesn't work, please advise us and we will see what we can do. Can I use SP Controller mod? Yes. Follow the installation instructions for Mod Manager, and make sure you build the GUI compatibility patch after installing everything else. You will also need to rebuild the patch every time EGM is updated. Is EGM compatible with non-English versions of the game? Yes. All the text the mod adds will be in English, but the mod should load properly. How do I set the options and mission timings? Change the 0 to your preferred choice (e.g. 1 for long relay video) then save and the mod will automatically pick up the changed setting when you reload on the Normandy. Can I only set the settings before a new playthrough starts? No. Mod settings and squad settings can be changed at will.Just save the changes in the text file and reload the Normandy. Mission settings see below.For quickplay mode once it must be set before you first board the Normandy. I have changed my mind can I change the mission timings? With the timings it is best done before you start a new playthrough or at least before you arrive on the Normandy (i.e. post Mars). Once a mail or mission is unlocked, it will remain unlocked.If you decide you want a timing changed your new setting has to be after your current state - i.e. don't tell Mordin to brief you at the end of a mission you have already completed. DLC emails are the exception - if you set it to a already completed mission, they will arrive immediately. By default Traynor will now tell you about the Cerberus Fighter Base mission after Horizon is complete. To better fit with the overall arc of the ME3 story the Ontarom mission now occurs around the time of the coup (when Cerberus is at the peak of its powers, and would be interested in capturing Alliance communication hubs) and Noveria takes place as part of the run up to Cronos station, as the Alliance moves to take back the Horsehead Nebula and finish Cerberus. All side quests can still be completed. You can customise the timing of this and other missions in the mod settings. Quickplay mode switches off the Galaxy at War system and ensures you will always get the highest GAW outcome. It is designed for players who don't want to worry about the map, war assets and just want a fast playthrough of the combat missions and story. You can still find assets if you want, but they will make no difference to the end result. The GAW Terminals in the CIC/War room will be disabled. It must be set before the end of the prologue and IT CANNOT BE UNSET - even if you uninstall EGM the war assets will still be set to the maximum. How do I get Weapons or Armors? 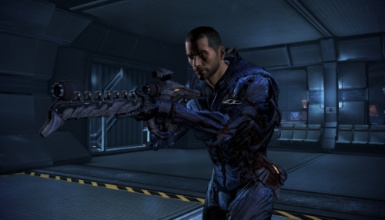 Gladius Assault Rifle (new) - Found in game once a new human spectre has been made. 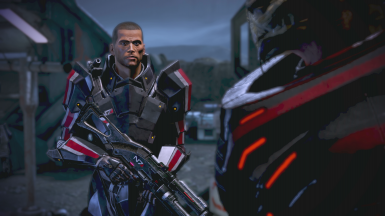 One N7 armor will be given as a reward for the N7 Extractions assignment. The version depends on the players gender/class. How do I use Torso Armors? All the full body armors are available as separate torsos, firstly set legs, arms and shoulders as None. Then scroll through the torsos until you find the one you want. The helmets you can mix and match as desired, each has its own bonuses and if you match they will total the full body version. N7 Fury Armor - hair/head is clipping through the hood? 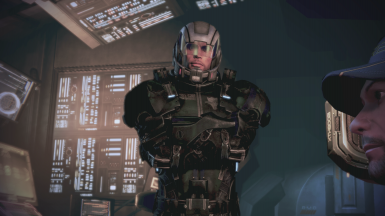 (a) Narrative options - show Shepard's helmet in conversations is set to "default"
(b) If using the torso version of the armors that you set the helmet to one of Fury Mask, Fury Hood or Fury Sentry. Note the dream sequences ignores the head settings so hair can still clip through. Do the new armors overwrite any of the old ones? No. The new armors are housed in new separate DLC files, all the normal armors will still appear, as a bonus you will also be able to use any of the full body armors as torso components. The bonuses remain the same as the full body version if you have the same helmet/body combined, but swapping helmets will change the bonuses slightly. How do I use the MOHLE Backpack? The MOHLE Backpack was requested by a mod user.It gives a unique bonus of +4 grenades in addition to other bonuses. It replaces the shoulder armor piece.Note back stored weapons will inevitably clip through the pack as may large suits of armor. I have made edits to the armors / casual in my coalesced does EGM impact? No the it shouldn't as EGMs IDs are above most normal ones in the range 500-600. How do I get the torso / separate helmet version of Cerberus Ajax? Change the mod settings via the EGM_Settings.txt file (only if you have the AAP DLC). See above for more details on changing mod settings. Wrex, Jack, Miranda, Jacob, Grunt, Samara, Kasumi and Zaeed.All require the Citadel DLC.In addition Aria T'Loak is available if you have the Omega DLC. How can I make them appear? They are only available for missions launched from the Normandy (not DLC). You need to go to the crew manifest and enter the "View Non-Crew Squadmates". This will show which (if any) are available and you can put up to 2 on standby. This means they are ready to join you directly on a mission. There are two modes: story and non-story.You can switch between these modes using the mod settings. In story mode (default) squadmates are available if they are on the Normandy (e.g. Wrex during the Genophage campaign or when Jack visits) or if you have completed their personal storyline. Wrex: available between Surkesh and Tuchanka when he is on the Normandy. Jack: when she visits the Normandy (up to 2 missions after Grissom if you haven't dropped her off) or once spoken to in Purgatory. Miranda: Post horizon when she is on the Normandy (requires Miranda Mod add on). Jacob:Post Gellix and speaking in Huerta. Samara: Post saving on Mesana and speaking on the embassy. 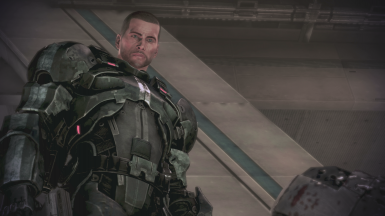 Grunt:If he survives the Rachni mission and you get rid of the C-SEC that interrupt his celebrations when he leaves. Kasumi: Post recruiting during the Hanar diplomat mission. Zaeed:Post recruiting during the Volus plot, you must speak to him afterwards. Aria: Once Omega is completed, and if you were very loyal to her. 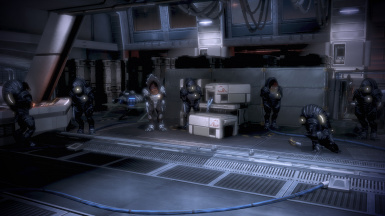 In non-story mode all are available to pick as you want, with the only stipulation that they are alive/around in ME3. Extra squadmates are only available if the map you are launching has been unlocked. In addition squadmates cannot be taken on missions in which they appear (e.g. you can't take Grunt on the Rachni mission). 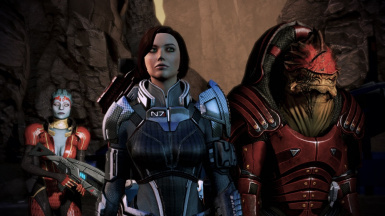 For story reasons Wrex cannot be taken on the Tuchanka: Turian Platoon or Tuchanka: Bomb missions. Which maps can I take them on? The six N7 missions are unlocked by default. Extra maps are available via a special pack. More will be unlocked in future. There is no mission dialogue for the extra squadmates, for this reason we recommend to take one vanilla squadmate to say the default lines.If you take two of the new ones everything should work, but their lines will be skipped. Does using this mod change dialogue or gameplay when using only vanilla squadmates? If you take vanilla squadmates e.g. Garrus & Tali then Garrus will say line B and Tali line D. If you take Garrus and Wrex then Garrus will say both line B and line D. If you take Miranda and Wrex both B and D will be skipped but all Shepards lines will run as normal. New squadmates AI is overly aggressive. Their AI is designed for the Armax Arena. Especially for the Krogan it takes some skill to manage them. How can I edit their abilities outside of a mission? Using your personal terminal you can select and edit their abilities (as with all your squadmates). You can also reset in the Medbay. They will always default to a minimum 3 points in each skill tree. How do I customise the Normandy Crew? On your command terminal in the CIC or Cabin you can change some of the personnel and equipment. You need to appoint a XO and a Lieutenant from your squad/crew in order to unlock some of the possible upgrades. More crew choices are available as the game progresses. You can change the crew at any time and the bonuses will reflect only the crew you currently have on board. Some crew need to have been spoken to before you can appoint them. What equipment can I customise? You can change the vehicles, mechs, settings on the shooting range, whether the dog is available and some of the weapons systems. Note the vehicles and mechs are stored on the Citadel when you are not using them. You cannot change these items if the Citadel is unavailable. How do I upgrade the ship? Ship upgrades need to be purchased from Deck 4 terminal (this includes the Firing Range etc). 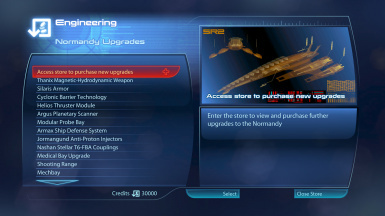 You can see equipment that has been previously purchased or imported from ME2. What do the ship upgrades and engineer bonuses actually impact? All change how the Normandy operates in the Galaxy Map. Helios Tech - Fuel capacity +50% (1500), Fuel efficiency +25%. Engineer increases to 1750 fuel. Argus Scanner - Range of scan when in system, speed planets spin faster and you can move the reticle (cross hair) quicker. Engineer further increases scan range. Armax SDS - When touched by a Reaper the Normandy has a grace time before game over (about 1sec). The SDS increases the time and can be further boosted by an engineer. Jormungund - increases the speed and acceleration of the ship when flying in system. Quarian Afterburners - (requires specific engineer) further increases in system speed and when flying between clusters. My custom coalesced edits don’t work, now the Reapers are too aggressive, I can't scan an entire system in a single go etc. EGM has engineering upgrades (both new and imported from ME2). To get better performance (wider scanning range, more fuel, faster ship etc) you need to purchase upgrades from the Upgrades terminal on deck 4. Because of the way the ship tech works it automatically overwrites any coalesced changes you have made in these areas. How do I find / do XYZ in the map? If in doubt scan it like you would a normal GAW asset in the map. What is the best strategy to finding assets? • Invaded systems - if a system has been recently invaded by the Reapers search and rescue is more likely to be successful. • Emails - certain missions have emails hints. The Dealer is a contact of the Shadow Broker. He specialises in salvaging specialist weapons and equipment. You can visit his ship in the Rosetta Nebula. If you agree to help him he will allow you to choose one item from his stock of high end weapons and armors for FREE (or a huge discount). He will then ask you to find certain artifacts hidden in the galaxy. Each one you find and return allows you to pick one further item. 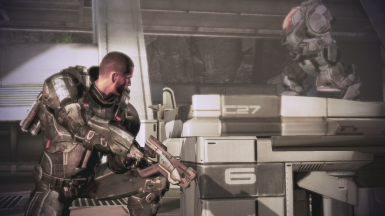 Note only he has the Geth Spitfire.There are 6 tasks you can complete for him, each one tests your knowledge of ME lore. If you can't find something check the mass effect wiki. I can't find asset ABC from vanilla ME3? Many of the vanilla assets have been moved to more lore-friendly areas. Citadel fetch quest items you must hear about the item/location first, including the Elcor Extractions mission. For example you don't randomly find a kakliosaur skull and then happen to find a geneticist who can use it. You need to discover the need, then find the item - not on a random planet, but rather where Krogan once were located. Another example is that Prothean Data files are no longer found on a random gas giant where nobody lives, but rather on a colony in a library where they would be studied. The MP war asset is now represented by the N7 Special Forces category. For many players the MP bonus got so large it quickly meant the N7s were worth more than all the rest of the forces (hence render the SP game pointless). In the N7 category are all the MP races, and MP promotions are reflected in the N-Special Ops Brigade at 1 pt per promotion which represents the Alliance contribution. You can find all of the MP races in the campaign, depending on which allies you gather. I can't land on new planets? No. We wanted to make new missions for SP but ran into some technical issues and a lack of time. What is the best strategy for an assignment? Not telling, but there is not always a "best" outcome. It depends on the personality of your Shepard. If you want some guidance on some of the individual assignments see the lower end of this list. Due to the way the Groundside Resistance and Firefight DLC work, we are unable to put them in the physical armory on the cargo deck. The armory will show EGM, vanilla, N7 and Citadel DLC weapons. The DLC weapons will be available for use as normal on missions. Firstly you must agree to the delivery, you will get an email from Cortez. If you don't have an email this is because your game is either a New Game Plus, so you already imported weapons from a ME3 save, or you didn't import from ME2.Note the chest will be cleared away after 7-8 missions.Also the chest will set you for a new game plus (weapons go to level X). The weapons must be found in ME2 for them to be in ME3.The widow and claymore are available if you picked them up on the Collector ship or researched them for Legion and Grunt. If you find a weapon in ME3 during a mission before you pick it out of the chest, the weapon will be deleted from the chest list - this is true apart from the weapons found on Mars and Earth during the Prologue. Those however will disappear from the chest if you upgrade them. How do I find the Prothean Implants? Around the time of Priority: Surkesh, you should get an Alert email in your Spectre mail that will lead you to them. As part of that assignment you will recover a map to various Prothean archaeological sites around the galaxy. You can scan and have your science team recover schematics from these sites. However only 1 site can be examined per main story mission. How do I use the Cybernetics? You will get an email from glyph advising that the medbay is ready. Once this is read go to the medbay and implant the tech, and select which avatar schematic to optimise it. Can I change my Prothean Implants? Yes - go back to the Cybernetic implant machine in medbay, you can implant, remove and switch schematics. There is a short cooldown period to let the surgery heal. Who can you invite to the cabin and when? Once you have locked in a relationship and assuming that person is on the Normandy you can invite them up. 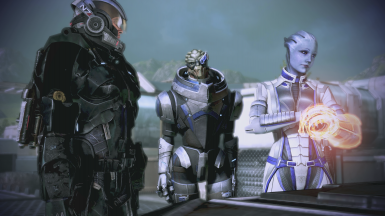 This includes Liara, Ashley, Kaidan, Steve, Samantha, Garrus and Tali.Each LI has at least 3 customised scenes you can trigger by talking to them. 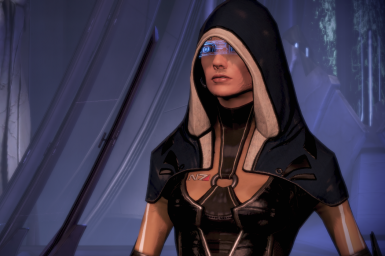 Jack - assuming you were in a relationship with her in ME2 and flirt with her at Grissom academy you can invite her up when she visits the Normandy with her students after that mission. Miranda - can be invited up if she is on board due to the Miranda mod and you locked in with her. 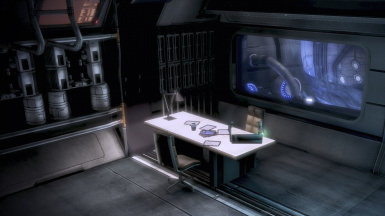 Liara also has a small scene in her cabin.This is available after locking in or before for those who are faithful to her from ME1, and rekindled their relationship in LOTSB. You must flirt with her, and not flirt with others too much in me3. 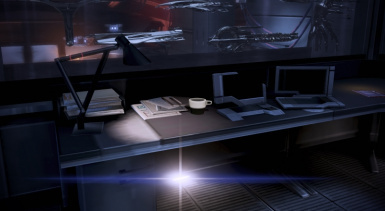 In addition Liara keeps a small memento in her cabin if you romanced her in ME1. Have I got all the Cabin Items? There are 9 new cabin items including the cabin photo however some are dependent on ME1/2, and your current stage of ME3. Prothean Sphere (found during Cerberus Labs mission if had in ME2 and saved the bulk of the crew from the Collectors). Can I change my LI cabin photo? Yes but not by using previously released mods.Use the latest version of ME3Explorer and Texplorer, build your tree, go to BIO_APL_PICTUREFRAME02. You will see the all the different photos, they can be easily replaced with a new picture of the same dimensions. Who will visit the Normandy? Visitors include Jack and her students, the Shadow Broker wet team you can recover, some N7 troopers you can rescue from their base and several more. In addition during the Geth arc Legion may bring some Geth Primes he rescues aboard and a Geth fighter from the story can be found.Some are dependent on whether the visitors are loyal in prior games (they don't stick around the Normandy if they are not). How will I know if I have visitors aboard? In some cases you will get an email from your XO, otherwise they will appear on the Normandy map. How long will they stay? Either until you drop them off at the Citadel (just orbit, docking not required) or 2 missions are completed. At that point they will go back to the Citadel and continue their duties. No. Unfortunately we don't have access to the voice actors. The outcome is dependent on actions across all 3 games, whether you took action against Cerberus, and therefore how strong they are at the conclusion of the game. For this reason I would leave Minuteman until just before Cronos (if you don't do it before the Alliance will tackle it independently during the assault on Cerberus, but the outcome will always be worse as EDI won't be there to help). Completions: How many missions you completed against Cerberus in ME1 & ME3. Some missions are scored more highly (particularly one in the same Nebula and also the Omega DLC, although it is possible to get a good score without the DLC). Intel: There are 3 opportunities to gather significant intel on Cerberus during the series, 1 in each game. You must make a correct choice at least one time to have the intel available to you on the Normandy so allowing the hacking team to decrypt protocols fast enough to prevent self-destruction. This is only necessary for the very best outcome. Before Minuteman is given you will get an email that will contain references to the intel so you should know. Choices: Whether you chose to help or hinder Cerberus in the games, both directly and indirectly. This includes whether former Cerberus operatives are around to help you with the attack, missions where you had choices to help/hinder Cerberus and the strength of the STG team you built up which helps with the hacking. The best outcome is possible whether you are a paragon or a renegade. Obviously it is easier if you played the entire series, but not impossible using a fresh ME3 start. After Priority: Thessia is completed (and you have left the system) you will get an email from the Asari Councillor requesting aid for a mission to evacuate the planet, in return for more support and a prothean technology (which contains the second Avatar Intel bonus).As soon as you finish reading you will join a conference between senior Alliance admirals as to what to do. (3) Offer only the Normandy (not risking Alliance ships, but not getting Asari ships or troops). (4) Refuse to aid (if you refuse the assignment will end, a small cash bonus but you will risk instability and riots among the Asari). Subsequently you will get an email detailing the plan, as soon as you press "launch" you will be taken to Thessia. At this point you will automatically recover the tech via a beacon. Once the tech is recovered three cities will appear, you can scout them, see what kind of refugees have gathered and exit/return via the relay.DO NOT DO A SYSTEM SCAN UNTIL YOU ARE READY. As soon as you system scan and fly to a landing zone the evacuation will start as the Allied/Asari fleets arrive. You will now receive intel from the ground forces and be able to choose a single refugee group to recover.You need to select one take it back to the waiting battleships (one fleet will be highlighted - you need to rendezvous with that fleet).When docked information from fleet comms will appear detailing how the fight is going in space and the option to tell the fleets to withdraw, as soon as you do this the evacuation will effectively end. You can do a maximum of 2 evacuations from each city, each fleet can carry one set of evacuees. If Diana Allers is on board she will send an email to suggest spinning the evacuation as a publicity stunt to improve Shepard's media profile.Recovering most of the Civilian type assets will result in a large cash bonus as favorable media coverage garners increased donations. All the time you are evacuating civilians the fleets have to hold off the Reapers.Losses will start to mount.The time the ships can hold on depends on your judgement about how much losses the fleets can take and whether you bought along the Alliance as well. THERE IS NO WAY TO SAVE EVERYBODY. So make sure you choose carefully who to prioritize. All the time the Reapers will be attacking and harassing the Normandy. They become more and more aggressive as the mission proceeds, so you will have to have your flight suit on during rounds 5 or 6. At any point you can escape via the Relay if necessary but this will end the evacuation.If you are having problems, the Armax SDS and various speed upgrades to the Normandy make a significant difference. If you press withdraw you will return to the Widow Nebula.You will gain the Asari Evacuees you recovered, plus other bonuses and be sent a AIS report on the impact of the evacuation (customized to your playthrough). Will you build me a version of EGM that has item X but not item Y? No. We cannot build a mod this big where everybody likes everything. Not much is forced upon the player, you don't have to use the new armors, you don't need to complete any of the assignments or read the war reports. 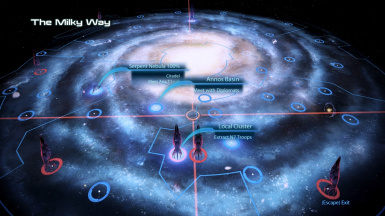 The galaxy map is large but all the combat missions are highlighted, and if you don't want to explore it just switch to Quickplay mode before starting your playthrough. Just pick and choose and feel free to ignore anything you don't want. I have noticed a typo, text or graphical error? Please feel free to post in the bugs section, making a mod like this is a huge undertaking and inevitably mistakes will be made.Taking 5 mins to post a very quick note helps us greatly and keeps us wanting to develop the mod. So, how are you supposed to achieve high effective military strength? Currently sitting at 6117 before going on the final mission to Earth, and I feel like I shot myself in the foot now. If you didn't changed the setting in EGM config file you are actually a measly 3 points for achieving the "perfect" end. It's 6.200 points if I recall correctly with a ME2 import. Just a question, if anyone could help. Did the mod changed some missions? I'm in the portion where I have to resolve the geth x quarian conflict. Legion and Tali were loyal in ME2, I solved their argument peacefully and both survived the SM. Except in this game Tali is exiled. 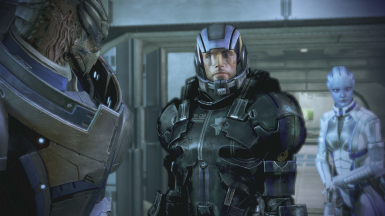 I did the geth server mission in ME3 and rescued Adm. Korris and to my surprise I was able to resolve the conflict between the quarians and geth. I'm asking in EGM section because I only have EGM, ME3Recalibrated and Diana Allers BeGone mods installed. It's a bug with my save or not? Ark Mod just updated a short time ago and I'm wondering if that means the Ark mod hotfix isn't needed anymore for EGM and Ark to work together. I reached out to the Ark mod creator but I imagine that you may have some insight since the hotfix is on the EGM page itself. Thanks again for such an amazing mod! Playing ME3 again with EGM for the thousand time. Still a blast. You people should try the Strength implant with a Sentinel configured with tech armor + fortification for maximum protection armed to the teeth. Do you need a soldier for what again? Or you can pick the Sentinel again with Tech armor + Fortification + Rage implant, which is one of my favorites. If configured correctly, you can have 80% damage protection and still being able to use powers frequently while having a ton of melee and power damage available. This means punching Banshees and Brutes in the face. It's glorious! Oh yeah. The last time I played with EGM the version was 1.09 (or 1.10). Man, there are some new content, aren't? Hey Jiro, idea for you; at the end of Mass Effect: Andromeda, Liara contacts Alec Ryder directly from the SR-2 explaining what's going on in the Milky Way and expressing her hopes that the Arks and the Nexus made it out of the galaxy in time. 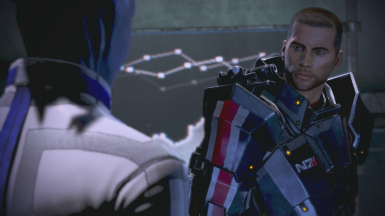 Perhaps you could add an ambient conversation at some point with Shepard walking in on Liara sending that message? So everything had been working great with this mod so far. I just kicked Cerberus off the citadel, but now whenever I activate an "Elevator Console" my game will Instantly freeze, I my controller wont respond any more yet I can move the mouse around. The game doesn't respond anymore, unless I can teleport where I need to go to avoid this elevator it looks like I am stuck right now. Has anyone else had this happen to them? Also is their any file I can provide to help get a solution to this problem? I really want to keep playing with these mods on as it has made the game so much more enjoyable an experience. Having just finished my latest ME3 playthrough with version 1.03 of EGM, I just wanted to leave some feedback. I think the last time I left some lengthy feedback was when EGM was still called the Galaxy Map Mod and was version 0.53. Most of the things I enjoyed still stand, as version 0.53 was a very well-rounded and complete mod on itself. Version 1.03 made the same experience more streamlined and improved. Some things that jumped out about the new version. I'll do my best to keep it as spoiler-free as possible. Armory: The new armory on deck 5 looks absolutely amazing. I love collecting things in game, especially if you can display your collection. Here we have a display that's functional and has a reason to be where it is. Vehicles and mechs: As for collecting, finding the new secondary vehicles and mechs strewn about the galaxy is much fun, and the new mech-bay makes for a very, very nice addition. I may or may not have actually orbited every planet in EGM trying to find stuff... OCD is a harsh mistress. Event Customization: I loved how you can configure the sequence of events in a simple text-file to make the ME3 experience more streamlined and less rushed: Why am I playing around in Armax Arena when councillor Tevos just told me that Thessia is being decimated? Why am I going on shore leave when Hackett just ordered me to secure the Quarian fleet? Using the text file, you can set up a sequence of events in a certain order. So you can have guilt-free mucking about in the Armax Arena. Writing and lore: Compared with 0.53, the writing has been mostly cleared of grammatical oddities and has vastly improved to the point where I couldn't tell the difference if journal entries were added by the mod or had always been there. From a lore standpoint everything makes perfect sense. Wrex! : Being able to bring Wrex on N7 missions while he's onboard the Normandy. I imagine the old lad would feel a bit cooped up in that war room and ready to blow off some steam. Having some Krogan on board guarding the war room and probably giving the Turian guards icy stares was the icing on the cake. Artwork and music: What particularly jumped out were several new pictures for the War Assets. Especially impressive was the new SSV Isaac Newton. The original music pieces used fit in very well with the rest of the game's musical style. New shops: One change I love you for is the Fifth Fleet service depot where you can buy certain pieces of armor and weapons which normally only show up relatively late in the game, such as the Saber. And I can finally get my favorite helmet, the Kuwashii visor early in the game. If I'd have one admittedly selfish request, it would be to have the M-7 Lancer added to that list, but I realize that it might cause some issues seeing as it is a DLC weapon. New gun: Speaking of guns, the new assault rifle is a meaty addition to the game. I'd like to describe it as a short-range assault rifle, as it tends to be all over the place without a stability damper. It takes me back to ME2, where there were less guns but each gun had a feeling of unique-ness to it. A feeling that was lost in ME3, I feel. But for me, the absolute highlight of this new version is what happens just before the final battle at Earth. I won't say too much, because I want people to discover it for themselves, but it was an amazingly fun experience and I loved reading what different roles the units were assigned to play. If there's one thing I consider a slight negative is that some textures are a bit low-res, especially on some of the vehicles. Mind you, I've been utterly spoiled by the availiable hi-res texture mod collections like a lot, though I tend to mix and match textures. Another thing which I realize isn't EGM's fault, but is an issue nonetheless, is the instability of the armor selection menu. Now, this part of the game has always been memory intensive as I think it keeps all textures in memory once you start cycling through the various pieces of armor. Like I said, I use a lot of memory-hogging hi-res textures and EGM adds quite a bit of new bits of armor with textures of its own. At the start of the game, it's not really much of a problem, but towards the end of the game after you've collected quite a bit of armor, I got crash after crash after crash after crash. Overall, it's a problem I can live with, as I tend to stick to a regular set of armor. So, if you want to program EGM to pull up the armor selection menu to pop up before every mission and you also use a lot or a lot of hi-res armor textures? Don't. Just... don't. Overall, I'm amazed at what EGM has grown into. 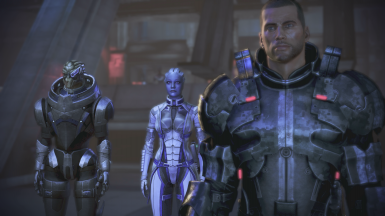 Especially considering ME3 is far from a mod-friendly game. I think all of you should be very proud of what you've created. I, for one, consider this a permanent addition to my game. I can't imagine playing without it anymore. Thanks very much for the compliments and feedback.As a long time supporter of EGM we always like hearing how you are thinking about the latest versions. Couple of things - just to clarify on the armor locker - this is not an EGM specific problem.You always have to remember ME3 is ultimately a port of an old Xbox game with all the memory limitations that implies (the xbox memory was about 500MB).With EGM added armors we try to balance having HR skins with the memory costs of such high resolution graphics (for example normals at 4096 are 60MB each which is too heavy a load).Many other armor mods do not take such things into account and therefore you will inevitably run into problems if you are running A.LOT + EGM + several other HR armor mods. A full set of armor at HR can be over 120MB. Having said that the testers and devs who run with A.LOT + EGM have not had issues. On the vehicles - we didn't include HR textures simply because the cargo deck is already a memory burner for older PCs, especially when you have visitors on deck.We might consider making a texture pack for those people interested if we have the time/energy.If you have some particular vehicles in mind (I know the Grizzly uses the ME1 textures for example, but there are probably others) - then please PM me.